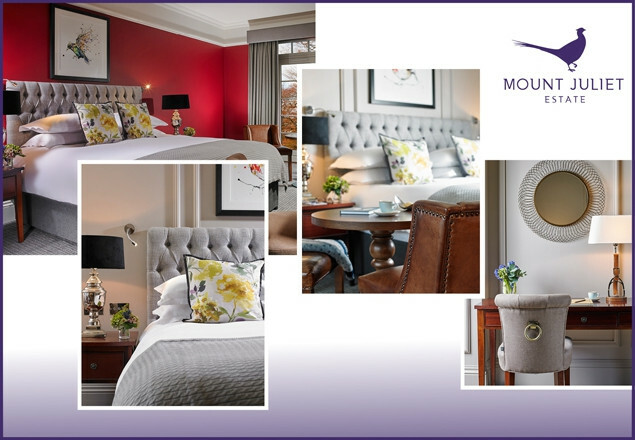 Enjoy a well-deserved getaway in Mount Juliet Estate where relaxation and adventure awaits you in the new year. From €165 for this special Irish Times package. Mount Juliet was a family home until 1989 and remains one of Ireland’s finest country houses, as well as being Co. Kilkenny’s most acclaimed country Estate. We are proud to maintain traditions and standards that have endured from the glory days of the ‘Big House’ - just as we are proud of the hospitality that has brought us international renown. A stay at Mount Juliet Estate is a truly unique experience. It’s a place to come and be who you want to be, whether that involves fishing, riding, golfing, archery, falconry or the absolute indulgence of our treatment suites. In a bygone era when Mount Juliet Estate was a working farm of several thousand acres, many people were employed and housed on the Estate. Back then, Hunter’s Yard would have had horses and hay lofts, as well as lodgings for the grooms, coachmen and stable boys. Today, this elegant courtyard, just five minutes' walk from the Manor house, is home to the bright and spacious rooms of the Hunter's Yard. A tranquil hideaway adjacent to our Jack Nicklaus signature designed golf course and only a few paces from the treatment rooms and the tempting menus of The Hound at Hunter's Yard, which offers all-day dining.